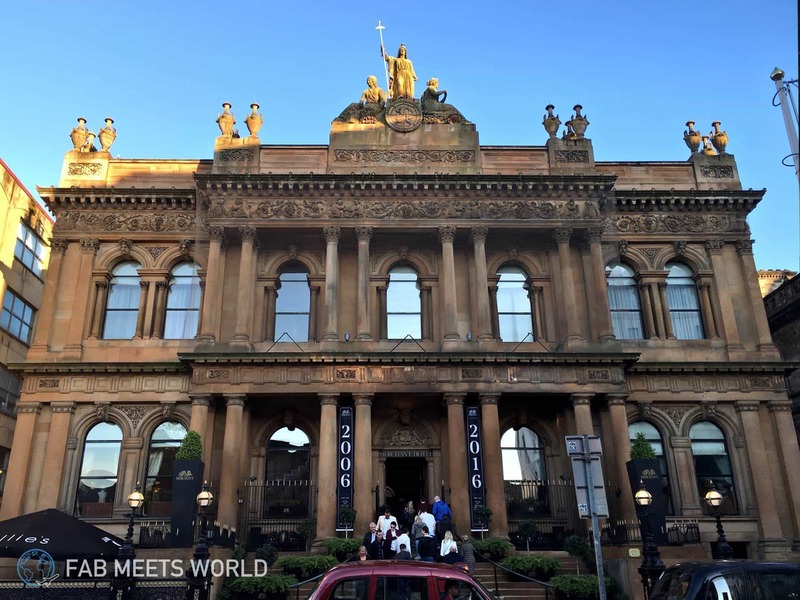 If I ever felt the need to stroll into a place wearing a 3 piece suit, leather bag and sunglasses with the swagger of Harvey Spector, my stay at The Merchant in Belfast, Northern Ireland was it. It’s the kind of hotel where you walk in and can immediately understand why it has 5 star ratings. The outside of the building has a bold presence, staff were welcoming, professional and attentive, and the luxurious style inside leaves you with no doubt that you’re in a top quality hotel. I was taken there with a group of bloggers by technology company Acer on our recent Acer Live Blog press trip, and here’s what my experience was like. 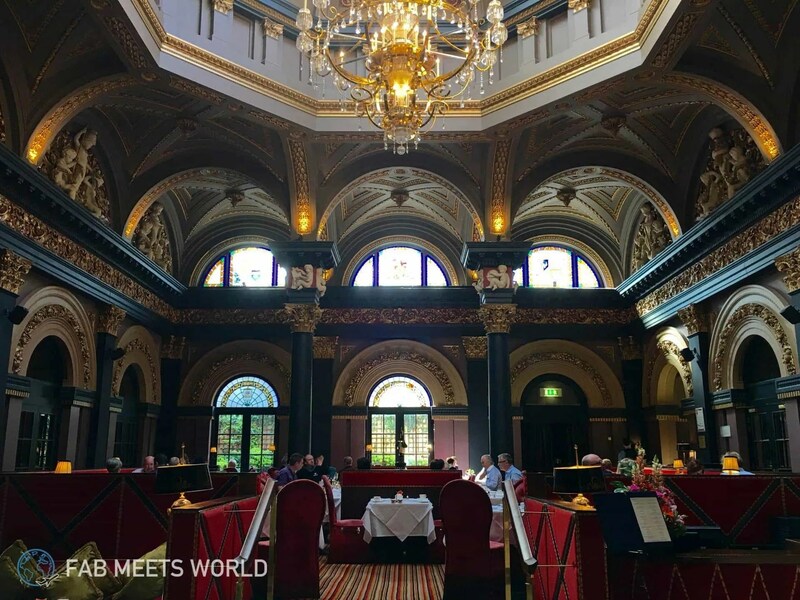 Originally constructed in the 1850’s as the HQ of the Ulster bank, The Merchant Hotel has a certain level of elegance and sophistication to it whether you’re walking into the reception area, eating in the dining hall (called The Great Room) or relaxing in your room. Walk through the hotel’s main entrance and you’ll immediately be greeted by this lavish space called The Great Room. Once the banking hall of the Ulster Bank, The Great Room is one of the most eye-catching spaces in this hotel with its grand pillars, chandelier, glass dome and red/gold colour scheme. Everything from the table settings to the level of service when you arrive for breakfast feels top notch, and it was my favourite part of The Merchant Hotel. Thankfully, rooms at The Merchant Hotel are large and spacious with a selection of Victorian and Art Deco themes to choose from. On this visit I was given a Victorian room — you can watch the room tour here — which had a very elegant feel, mellow colour scheme and traditional Victorian decor. 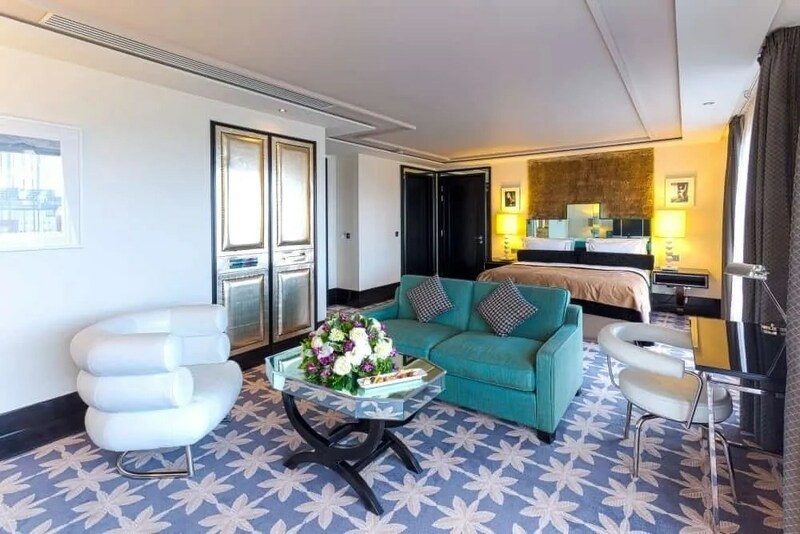 I liked the room a lot, but out of personal taste I probably would have opted for the Art Deco rooms because of their fresher/modern look and vibrant colours. Victorian room at The Merchant Hotel. Photo by The Merchant. Art Deco room at The Merchant Hotel. Photo by The Merchant. While my room didn’t have a lot of natural light thanks to a very small window, it did have plenty of lamps to light up the room sufficiently enough. The beds were super comfortable — yes, I had two beds to choose from — and the bathroom was lovely too, fully featured with a wall-to-wall mirror, huge bathtub and large rainfall-style shower head. All in all, I really liked the standard of my room and the only criticism I have is about the amount of natural light in that particular one. Taking into account the grandure of The Great Room where we had breakfast, I was expecting the standard of food to be phenomenal. The service was on point, the tables were well presented and everything looked nice and clean. Take note that I’m no food connoisseur, however I have to say the quality of food was rather underwhelming. 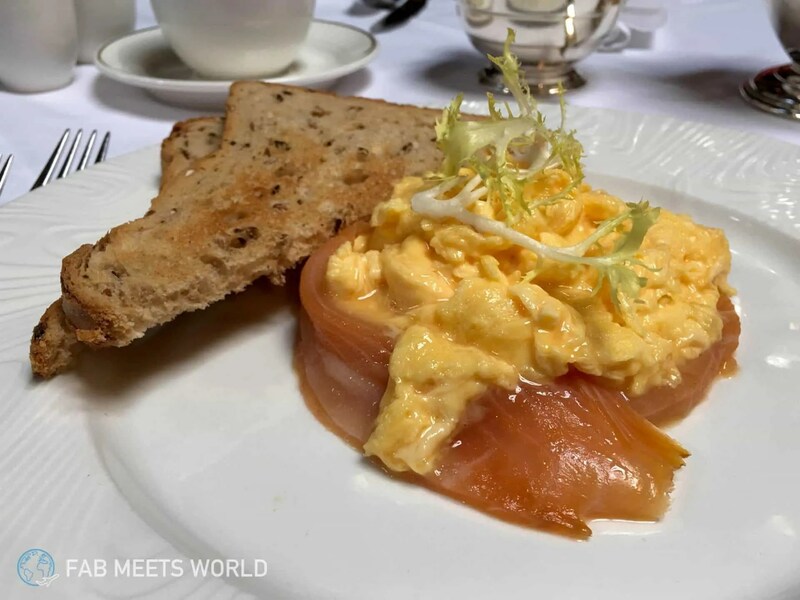 On my first day I had a simple omelette with cheese, tomatoes, onions and mushrooms which tasted bland, and on the second day I ordered Salmon with scrambled eggs which was a far better pick, although I can’t say it felt 5 star worthy. The Merchant’s cocktail bar maintains an elegant look and feel with a fireplace, chandeliers and that consistent Victorian theme. Their cocktail menu feels as thick as a book so you’ll have plenty of choice, and I can tell you based on my Caipirinha that they definitely know how to make a good drink. Well, that and the fact that everybody kept ordering more and more. Between a snooker room and cocktail bar to a luxury spa and gym, The Merchant Hotel is packing all of the facilities you’d expect from a luxury hotel. 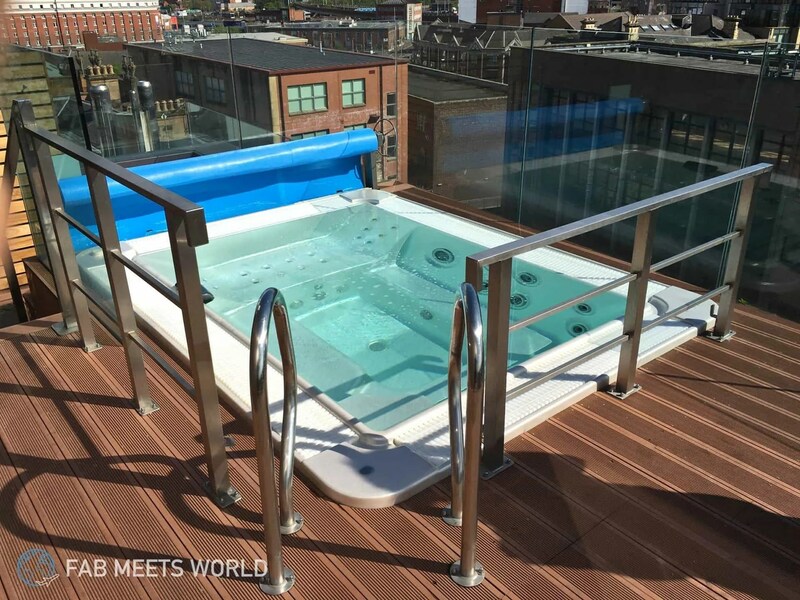 If the weather permits or you’re feeling brave, there’s even an open-air hot tub on the rooftop with a panoramic view of Belfast which is great. I didn’t get to try it unfortunately, but as you can tell from my photo it’s nice and spacious for a large group to enjoy. Free Wi-Fi is conveniently accessible from everywhere in the hotel too. 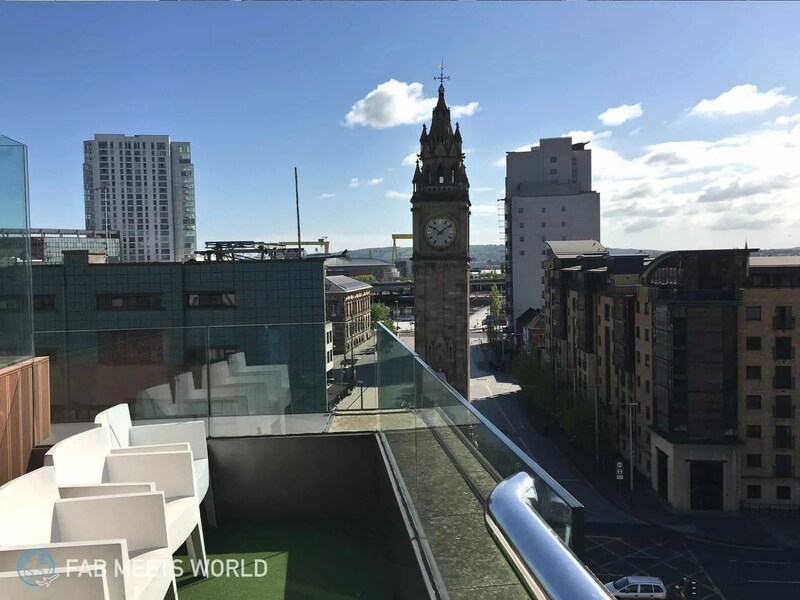 If a luxury hotel is what you’re looking for when you visit Belfast, look no further than The Merchant Hotel. From the standard of service to the space itself, it’s a hotel worthy of all its 5 stars.